All children at TCS Mill Lane have Outdoor Learning lessons every week. Reception come in small groups – a group comes to Outdoor Learning on Monday, Tuesday, Wednesday and Thursday, so most children will come twice each week. All groups will have the same number of sessions over a term. Outdoor Learning sessions are led by Mr Jonathan Ball, an experienced class teacher, forest school leader and ex-outdoor pursuits instructor. He is supported by class Teaching Assistants. The sessions take place at our new, purpose-built outdoor learning hub, in our garden, in our woodland area and on our field. Activities are child-led, child centered and age appropriate. They may include gardening, fire lighting, camp fire cooking, mud play, Forest School activities, tool work, shelter building, obstacle courses, slack-line walking, plant or creature identification, kite flying, games – and anything else that we or the children think of! We try to invite parents in to join in with their children’s activities at least once a year for each class. The sessions are not linked to the curriculum but instead focus on our school’s Green Behaviours. Responsibility, Resilience, Teamwork, Communication, Independence, Leadership, Respect, Curiosity, Consideration and Honesty. We link activities explicitly to these behaviours and have lots of discussions about what behaviours we showed to achieve what we have and which we could use to do even better next time. We also do lots of science outdoors, just through the type of activities we do. We make sure that the children see the science that happens naturally through Outdoor Learning and make links to the class-based science that they do. Outdoor Learning lessons take place all year, whatever the weather. There is no such thing as bad weather, only bad clothes! Outdoor Learning kit should be in school each week for the sessions. 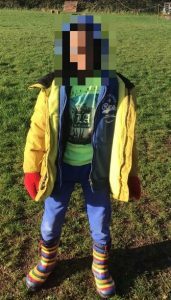 Children who don’t have the appropriate kit have a restricted choice of activities, especially when the weather is cold, wet or muddy. They may also get school uniform and shoes damaged, wet or muddy. A set of old clothes (including a jumper and/or a warm coat) that can get dirty and muddy. A waterproof coat and trousers to go over these for when it is very wet. Wellies or waterproof walking boots. NO OLD TRAINERS AS THESE ARE NOT WATERPROOF. If you have any questions or would like to see our facilities, please get in touch with Mr Ball through the school office. Good Outdoor Learning kit – waterproofs to cover uniform and keep the rain and mud off. Not so good if it’s very cold. 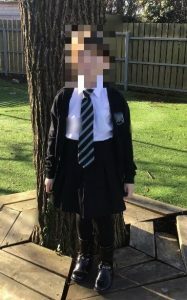 Good Outdoor Learning kit – old clothes to keep uniform clean. Waterproofs help if it’s very wet. 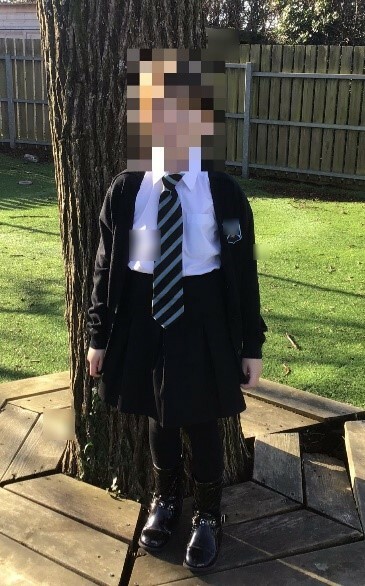 Bad Outdoor Learning kit – school uniform means choice of activities is limited.